Alaska Health Fair is partnering with the State of Alaska to bring educational resources on fall prevention to all AHF health fairs this season! Why fall prevention is so important? 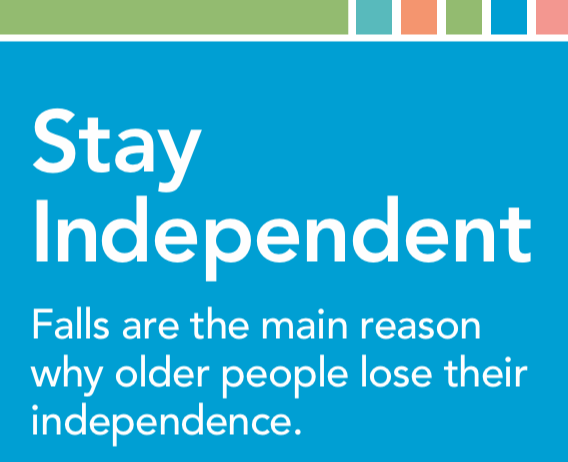 Falls are the #1 cause of serious injury requiring hospitalization among Alaskans age 55+ and a leading cause of death and loss of independence. Serious injury caused by falls is higher among women, Alaskan Natives, persons age 85+, and residents of the Mat-Su. Excessive alcohol consumption, use of multiple prescription medications, and other drug-use increases the risk of falls and fall-related injury. Source: Alaska Department of Health and Social Services. Alaska Injury Facts Report – 2018. Anchorage, Alaska: Section of Chronic Disease Prevention and Health Promotion, Division of Public Health, Alaska Department of Health and Social Services; June 2018. Stand up slowly after eating, lying down, or sitting. Getting up too quickly can cause your blood pressure to drop, which can make you feel faint.